Like the Jump4Heroes page on Facebook, here. From ProBASE: Here is the official ranking of the ProBASE Sapphire Showdown 2012, our Season opener! Congrats to the winners and thanks to everyone for being there and making it such an awesome event and PARTY!! Click to visit their website for all the details. 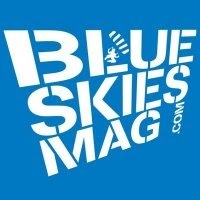 This month is part 2 of Chris “Douggs” Mcdougall’s article in Blue Skies Magazine, ‘A Scumbag’s Guide to Adventure Living’. This entry was posted in BASE Jumping, General Information. Bookmark the permalink.